There are times when I'm so happy that I am not a Minnesota Vikings fan. For those of my friends overseas, this is an American Football team from my state and, usually, they are not too bad. But this season is ridiculously bad - we currently are the 2nd worst team in the entire National Football League. And yesterday the Vikings lost again. But the beauty of all of this is that I am not a Minnesota Vikings fan. 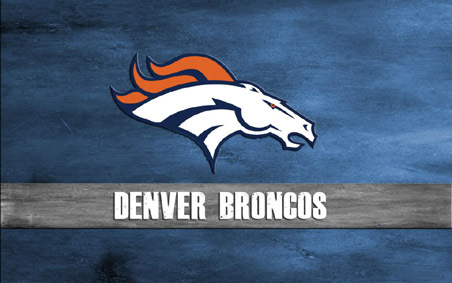 I am a fan of the football team that I grew up with - the Denver Broncos. And the Broncos are first in their division. So, with the terrible record of my DH's team and the steadily improving record of my team, I have one thing I can flaunt over him. Call me happy - LOL. And yes, I was wearing my Denver Broncos Superbowl 32 Winner sweatshirt. He threatened to never allow me to wear it again - LOL. LOVE MY TEAM!